West Yorkshire-based company P&B Foods, Limited has recently issued a recall on all batches of “Heera Milk Powder.” The recall was announced last September 27, 2011. The product is being recalled for having been repackaged in unapproved premises. No further details were given that would describe what kind of unapproved premises the product had been re-packaged in. The recalled milk product is sold under the Heera brand, and is sold in 200-gram and 700-gram packs. All date codes for this milk product are affected by the recall. A notice has already been sent to wholesalers and retailers who were supplied with the recalled product. The notice contains the reason for the recall, stating that there was an error in the labelling of the product. No further explanation was given as to the recall reason aside from mislabelling. The notice also contains instructions for customers regarding what they can do or who they can talk to in case they were able to buy the product. 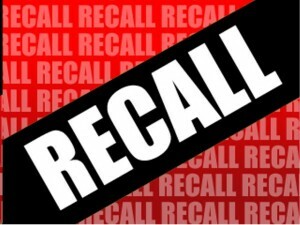 The company emphasizes that no other product, aside from the one specified, is affected by the recall. For customers who have bought the recalled milk powder, P&B strongly advises to not consume it and instead return it to the place where it was purchased. They will then be given a refund once they do so. Customers who have questions or concerns about the recall may call P&B Foods at +44 (0) 1274-660118. They may also send an email to info@pbfoods.co.uk.